The Presscontrol unit is a device designed to switch the pump off when not in use and on again as the pump is required to deliver water. 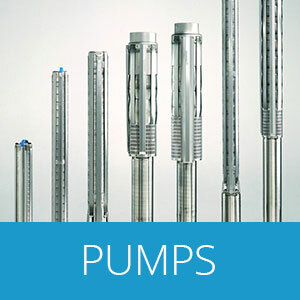 This device relies on sensing a pressure drop to restart the pump. When the demand for water has stopped the unit senses no flow, switching the pump off again. PRESSCONTROL is a device with a new concept that guarantees optimal control of pumps for home use. Deriving from a hydraulic and electronic logics project, it is capable of simultaneously detecting both the pressure and the flow, as well as automatically managing the pump operation. The device will stop the pump on no flow and will restart on a pressure drop to 1.5 Bar. 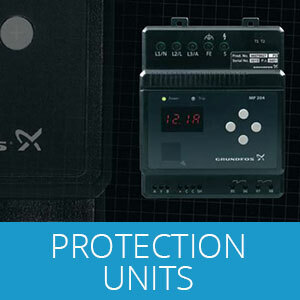 A bore water level pump controller is designed to safely operate a submersible pump in a low yield water bore application. The controller will switch the pump off as the pumping water level drops to a preset level, usually just above the pump. 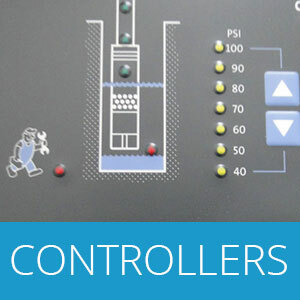 The controller will automatically restart the pump as the water level recovers to a set level. 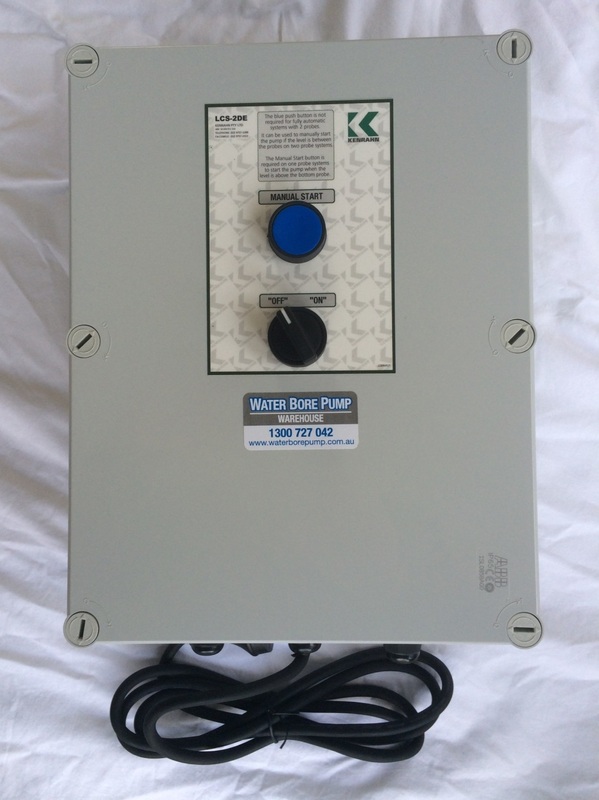 The Kenrahn Level Control Starter has been designed and manufactured in Australia to provide the most reliable automatic control of a submersible bore pump in our harsh rural conditions. 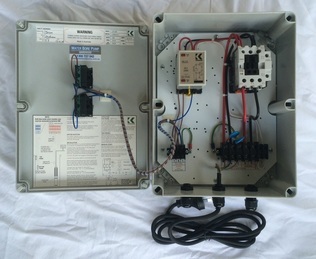 The standard unit incorporates an input for a flow switch. 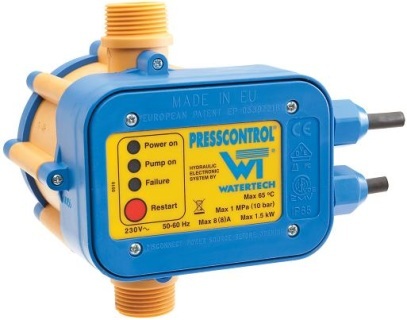 This input can also be utilised to install a pressure switch or tank level float switch. 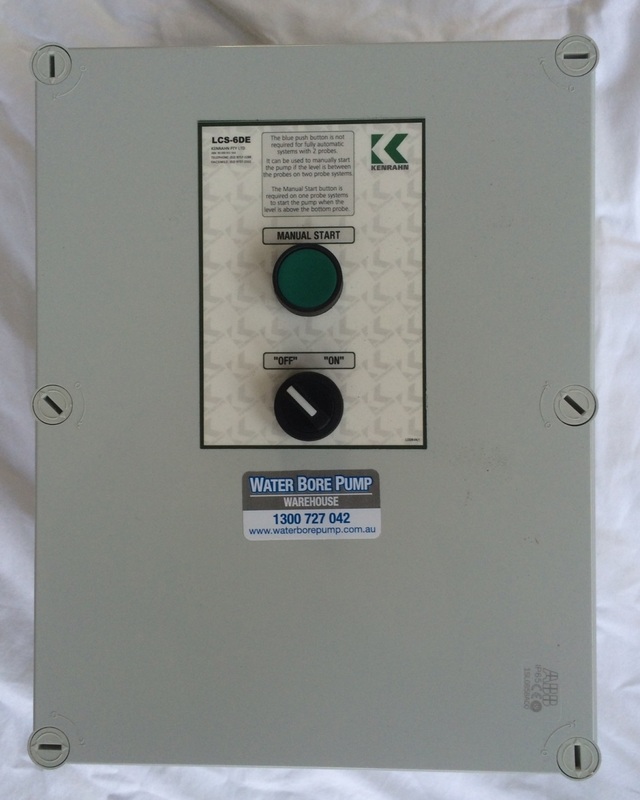 Water bore pump low water level control system. 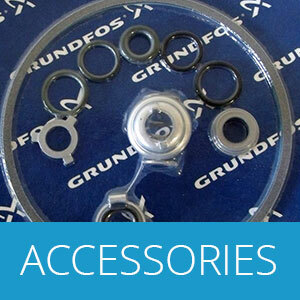 Suitable for all 240v submersible water bore pumps. 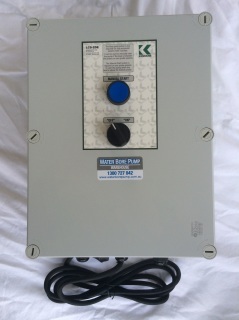 Controller plugs in to 240v power supply. 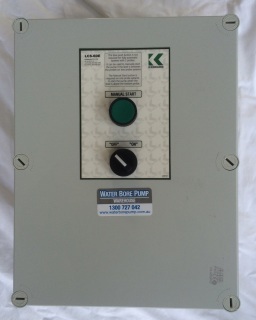 Pump starter (if required) plugs in to controller. Complete with stainless steel level probes and 20m submersible control cable. 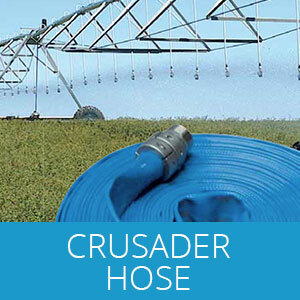 Suitable for 415v submersible water bore pumps. Controller connects to 415v power supply. 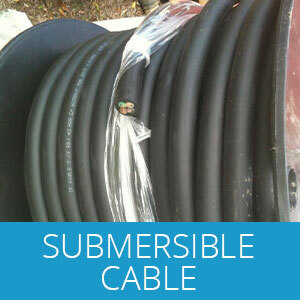 Submersible pump cable connects to controller. and DOL starter and motor overload protection. 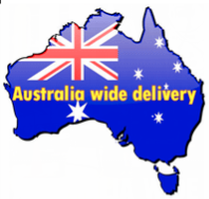 Free shipping on most products in most areas of Australia.